Lila's Suit is from Target! also linking my new self tanner here because its my new fave!! Lila: Romper // Shoes // Bow: Little Poppy Bow Co. 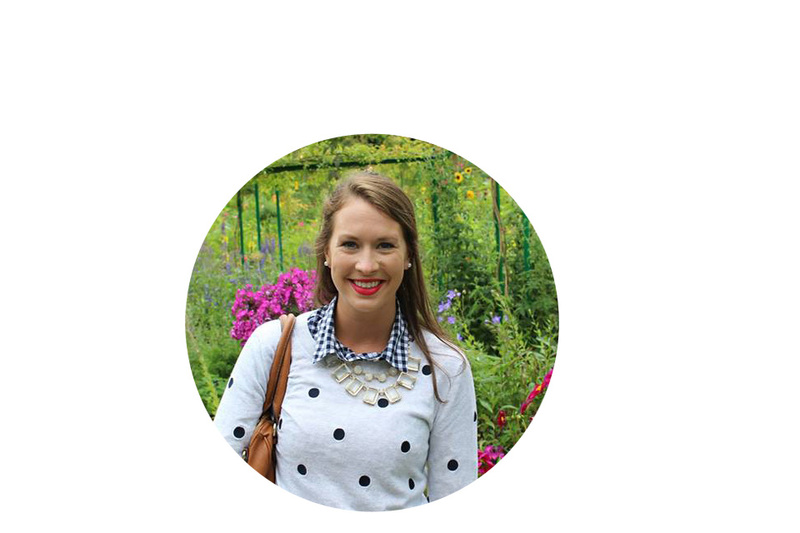 Finally linking all of the outfits I wore on our Disney trip two weeks ago!! Things have been so busy and to top it all off I got so sick right away when we got back from our trip. I am actually only now starting to really feel like myself! I LOVED sooo many of the outfits I wore on this trip and so many pieces were so affordable! My swimsuits that I posed were both from Amazon....and really great quality!! 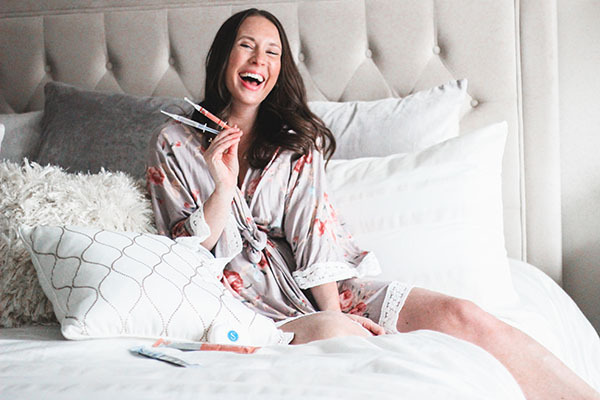 When a company called Smile Brilliant reached out to me about partnering with them on their at home teeth whitening I was instantly intrigued. This would be such a great way to do something for myself & on my own schedule! I had researched teeth whitening for quite some time now. It was an investment I was going to make before my wedding, however when push came to shove I couldn't justify the extra expense on top of everything else. 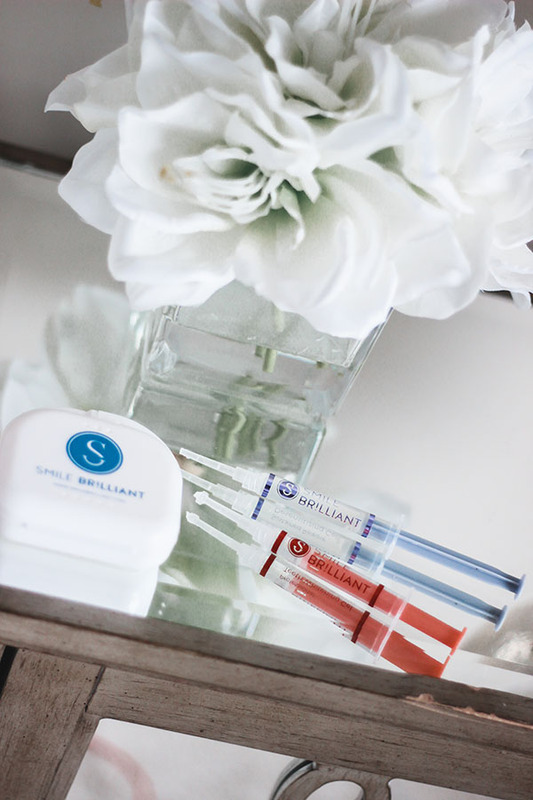 If I had known about Smile Brilliant then I would have purchased in an instant....for $200 you get everything you need to upgrade your smile. The process is so easy!!! I cannot stress the easy factor enough, which was so important to me as a new mom still figuring out life with an infant! Smile Brilliant became part of my new nighttime routine, I would apply before bed and then read or watch TV with Dave for 45 minutes-1 hour while I whitened!! To get started with the process you first you answer a series of questions regarding your dental history...then a couple days later your smile brilliant package arrives...to your front door!! Inside the kit there are the supplies to make your custom teeth molds, this is super easy and actually kind of fun!! My husband wanted to play with the leftover molding clay....boys! Once you are done with that step you package them back up in the prepaid envelope, and send them back in. The next package to arrive was my own custom molds that I would begin to use for the whitening process. I whitened every night after Lila went to bed and saw results almost instantly. Seriously crazy fast. I would totally recommend this product to anyone who is thinking about teeth whitening.... the entire process is so seamless and makes teeth whitening the ultimate convenience for you! Everything in life should be this easy. LUCKY FOR YOU... you can enter to win your own Smile Brilliant teeth whitening kit!! Click the link below to enter, in addition the great people at Smile Brilliant are offering 15% off to all my readers!